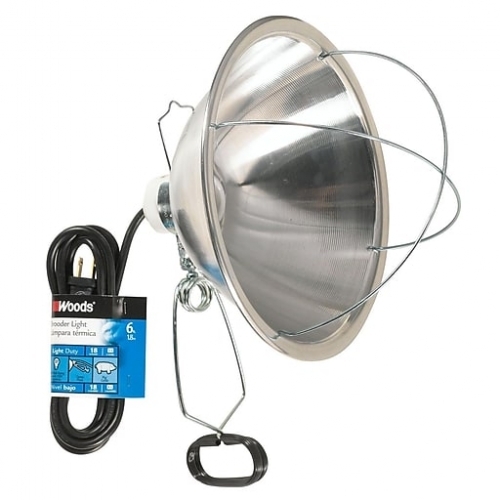 300 watt, 6-ft incandescent brooder clamp light. Heavy-gauge 10.5-inch, aluminum reflector. Convenient hang-up hooks. Insulated porcelain sockets. Bulb guards snap easily into place. Ideal for a temporary heat source for pig and chicken brooders. The Woods® brand is a registered trademark of Coleman Cable® Inc.
You can’t cover your horse in protective wrap to keep him from injuring himself, but PuriShield™ Barrier Spray is the next best choice! Its unique, innovative formula contains exclusive Purifect® Technology and covers the wound to protect against germs, dirt, debris, water and insects. Whether your horse is at home, on a trail ride or at a competition, there’s never a good time for an injury. 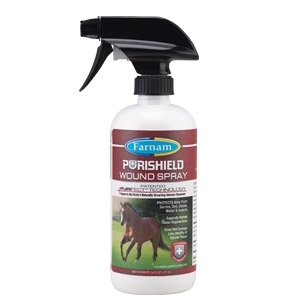 Be prepared with PuriShield™ Wound Spray. Exclusively formulated with Purifect® Technology to protect against germs, dirt, debris, water and insects. Whether large or small, severe or slight, all wounds require attention. PuriShield™ Hydrogel makes sure you're equipped to handle any situation. This exclusive gel formula clings to uneven surfaces for better coverage and protection. Managing skin irritations is unfortunately part of owning a horse, especially when the change in seasons brings increased moisture in the form of rain or snow. Help clear-up skin irritations with PuriShield™ Skin Spray. When your animal is in need of care, time is of the essence. 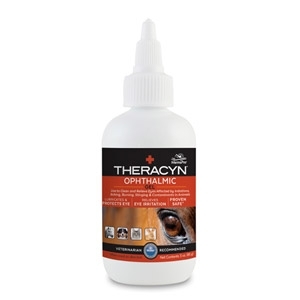 Introducing Theracyn™, a one-step wound , ear & eye care solution, crafted for easy application and rapid results. Powered by the trusted, original Microcyn® Technology that has treated over 10 million human and animal patients. 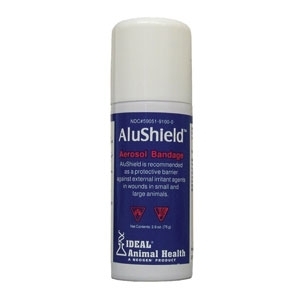 AluShield™ is a convenient, water-resistant aerosol bandage that creates a protective barrier against external irritant agents in wounds in small and large animals. Revolutionary, invisible liquid bandage. 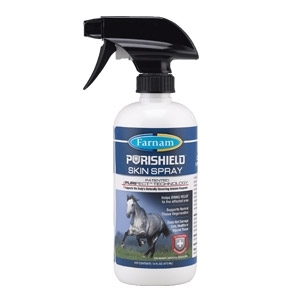 You can’t cover your horse in protective wrap to keep him from injuring himself, but PuriShield™ Barrier Spray is the next best choice! Its unique, innovative formula contains exclusive Purifect® Technology and covers the wound to protect against germs, dirt, debris, water and insects. 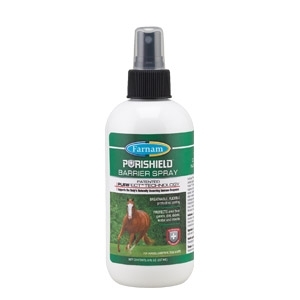 PuriShield™ Wound Spray 16 oz. Veterinarian recommended efficacious first aid spray. Whether your horse is at home, on a trail ride or at a competition, there’s never a good time for an injury. 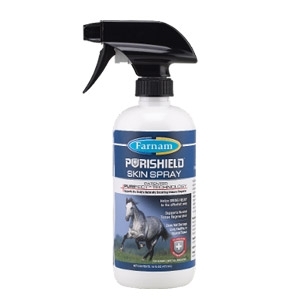 Be prepared with PuriShield™ Wound Spray. Exclusively formulated with Purifect® Technology to protect against germs, dirt, debris, water and insects. 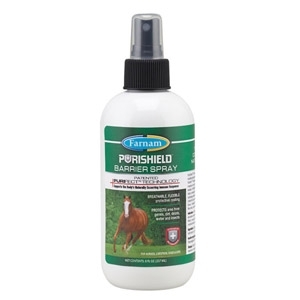 Thick, gel form of Purishield™ Wound Spray. Whether large or small, severe or slight, all wounds require attention. 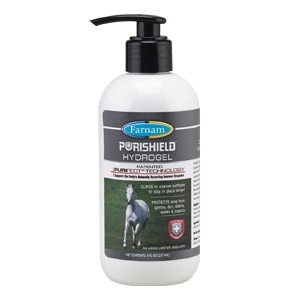 PuriShield™ Hydrogel makes sure you're equipped to handle any situation. This exclusive gel formula contains Purifect® Technology and adheres to the affected area for better coverage. Managing skin irritations is unfortunately part of owning a horse, especially when the change in seasons brings increased moisture in the form of rain or snow. Help clear-up skin irritations with PuriShield™ Skin Spray. Exclusively formulated with Purifect® Technology to help bring relief to the affected area. 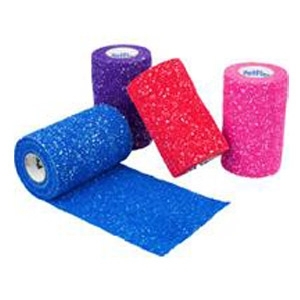 Strong, flexible cohesive bandage ideal for support. High abrasion resistance keeps it from shredding. Sweat and water resistant. Strong 24 pound tensile strength. Controlled compression, will not constrict. Made in the USA. For chapped conditions and superficial abrasions. 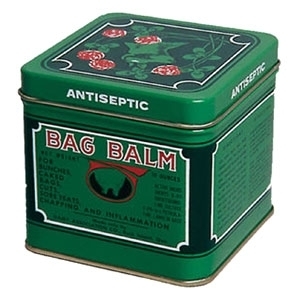 Salve originally intended to soothe irritation on cows' udders. Used topically for the prevention or treatment of surface bacterial infections in wounds, burns. 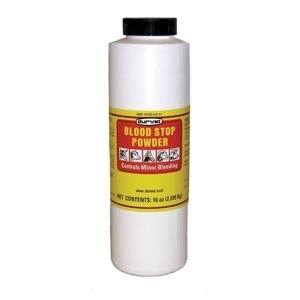 Blood Stop Powder 16 Oz. 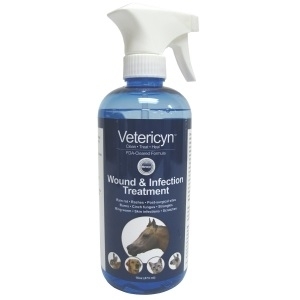 A powder formulation used as an aid in controlling minor bleeding caused by superficial cuts, wounds and dehorning. 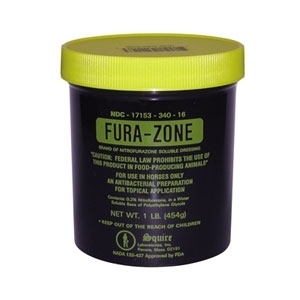 For topical application on the skin to disinfect superficial wounds, cuts, abrasions, insect bites and minor bruises. 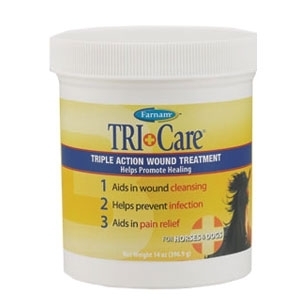 Tri-Care Wound Treatment 14 Oz. Features the powerful salicylic acid and tea tree oil to help prevent infection. 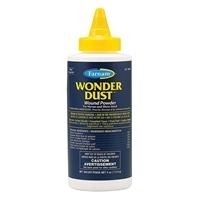 Dressing powder and blood coagulant for use on wounds, cuts, abrasions and capillary bleeding. 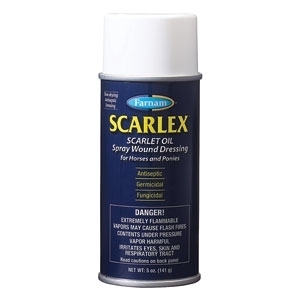 Scarlex Scarlet Oil Spray 5 Oz. Soothing, slow-drying antiseptic dressing for minor skin lesions, surface wounds, cuts and burns. 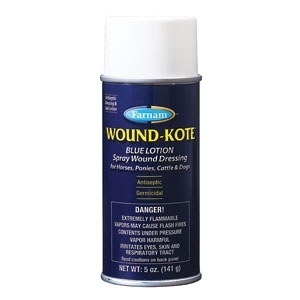 Wound Kote Aerosol 5 Oz. A quick-drying, deep penetrating antiseptic dressing. 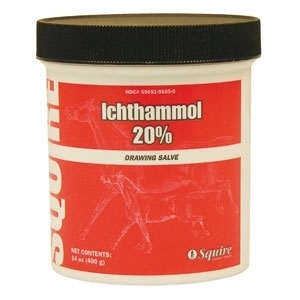 Ichthammol Drawing Salve 14 Oz. Drawing salve promotes healing in wounds and treats chronic inflammation. 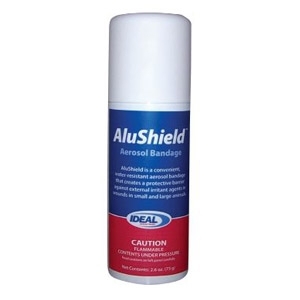 Alushield Aerosol Bandage 2.6 Oz. The fastest and easiest way to protect wounds without having to wrap a bandage on horses, sheep and cattle. 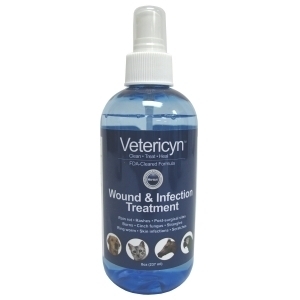 One-step topical water-based spray gel that cleans, treats and protects wounds and infections. Kills bacteria including antibiotic-resistant mrsa. This steroid-free antibiotic-free, no-rinse solution is non-toxic and speeds healing. Can be used for hot spots, mange, rain rot, rashes, post surgical sites, burns, cinch fungus, strangles, ring worm and more. One-step topical spray that cleans wounds, treats infection and kills bacteria. Kills antibiotic-resistant mrsa. 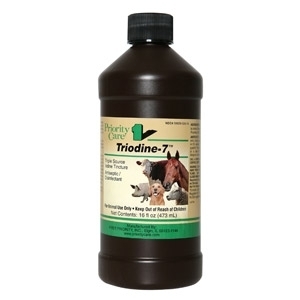 This steriod-free, antibiotic-free, no-rinse solution is non-toxic and speeds healing. Can be used to treat rain rot, rashes, post-surgical sites, burns, cinch fungus, strangles, ring worm, scratches and more. 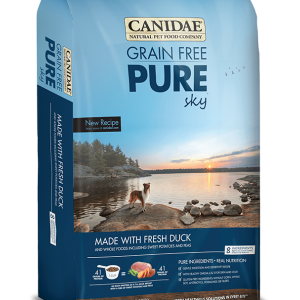 This Month, take $5.00 off Canidae Pure Limited Ingredient Diet 4lb bag! Must present coupon at time of purchase. Not valid with any other discounts or sales. 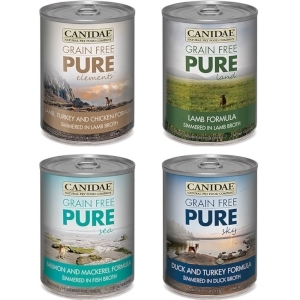 During April, Buy 2 Canidae Treats & Cans and Get 1 Free! Limit 1 per Customer. Must present coupon at time of purchase. Not valid with any other discounts or sales. © 2019 Garoppo's Stone & Garden and Feed & Pet Supply. All rights reserved.